CD with Software for Hummer Deluxe is an accessory with software for Hummer Deluxe Video Racing Game. 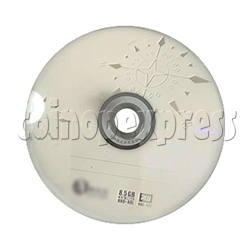 It is just a replacement part and use with DVD DRIVE for software installation, work well for Hummer Deluxe machine. Hummer is an arcade racing game released by Sega in 2009. The game runs on the Sega Lindbergh platform. There are 2 game modes: Time attack mode and Race mode. In the Race mode, players driving Hummer to race against other opponents. It is possible for up to 8 people to race at the same time. Boosts can be used to speed up during the race.